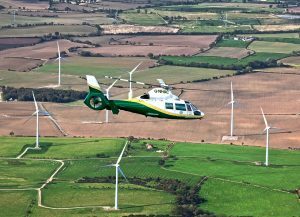 Over the weekend our critical care teams attended incidents in Theakston, Hambleton, and Cockermouth. On Saturday we were activated at 7.56am to Theakston, Hambleton. Later that day we were activated at 11.48am to Cockermouth. Our critical care team assessed and treated a patient before they were taken to hospital by a North West Ambulance Service road crew, accompanied by our team.